Default-search.net is a search provider which is meant to route you to search.yahoo.com, news.yahoo.com, images.yahoo.com, and other Yahoo search pages. Even though the search tool does not seem malicious, virtual security researchers identify it as a browser hijacker. The infection often travels bundled with other applications which can enable silent installation of this suspicious program. 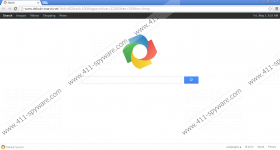 Once installed, the hijacker can connect to the Internet and corrupt the existing search tools. If you are reading this report, it is most likely that the home page and the default search provider on Chrome, IE and Firefox browsers have been modified already. You can fix this by getting Default-search.net deleted from the browsers. Windows Version Installer, Settings Manager and Linkey Project are the programs which have been linked to the Default-search.net browser hijacker. Are you familiar with these programs? Do you know how they work, whether they are beneficial or whether they run without imposing virtual security risks? Computer users often install applications without thinking things through. Needless to say, this is quite dangerous. If you install programs you are not completely familiar with, there is a possibility that you will face undesirable outcomes. For example, unreliable applications could enable the activity of third parties and enable the silent installation of undesirable software, like Default-search.net hijacker. Default-search.net is not the most unreliable tool when it comes to the produced services. The application does present search results, and this is more than other infamous browser hijackers are capable of. Despite this, computer users could easily employ Yahoo and receive the same services, which is why Default-search.net does not seem to have a purpose. Of course, the developers of the search tool have a purpose. They are affiliated and sponsored by third party affiliates. Unfortunately, in some cases when money gets involved, the quality of the services decreases. We recommend that you handle the sponsored search results with great care. You certainly need to avoid virtual scams and redirecting which could be linked to them. If you value your virtual security, Default-search.net removal is something that we recommend. Even though the search tool is not extremely malicious, in the long run it could open up security doors and put your virtual security at risk. We advise that you delete Default-search.net regardless of how it was installed onto the web browsers, whether it was done illegally or with your knowledge. Use automatic malware removal software to delete existing threats and then use the instructions below to delete the undesirable search tools. Move to the left of the Task Bar and click Start to open a menu. Now select Change or Remove Programs. Select Uninstall to remove it from the PC. Open Chrome, simultaneously tap Alt+F and click Settings. Now overwrite/remove the undesirable search tool and click OK.
Now repeat step 3 to ensure that undesirable search tools are removed. Select or add a new default search provider and Remove the undesirable one. Click Close, simultaneously tap Alt+T again and select Internet Options. Simultaneously tap Alt+T to open the Tools menu at the top and select Options. Click the General tab and navigate to the Home Page box down below. Now overwrite/remove the Home Page URL and select OK.